Breakthrough innovation and technology requires the fastest computers and an extraordinary range of cutting-edge scientific tools that support in-depth research, drive technological breakthroughs, and improve our nation’s competitiveness and quality of life. With 70 years in the making, this laboratory hosts a highly collaborative community of more than 7,000 scientists, 5,500 researchers and students from all over the world to address the most pressing challenges in science, biology and medicine, energy, the environment and national security each year. A state-of-the-art laboratory complex made up of over 100 buildings and 2 million square feet of interior space, includes 14 research divisions and joint institute centers. Maintaining precise temperature control throughout the laboratories is critical. 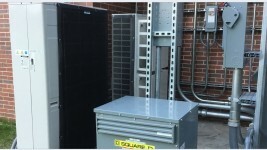 The labs rely on a variety of RTUs, economizers, heat pump split systems and portable AC units for continuous, year-round operation. Situated on 1,700 wooded acres in a suburb of Illinois, this location allows for continued expansion and privacy to both optimal for its needs. However, it is also surrounded by cottonwood trees, bugs, grass clippings and leaves. 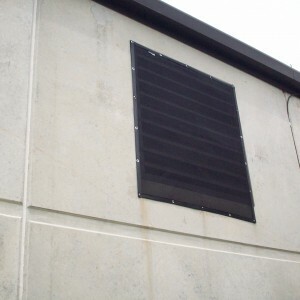 When the wind blows, outdoor environmental elements quickly clog HVAC outside air intakes. 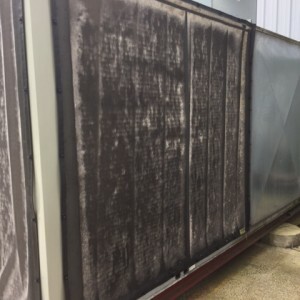 Maintenance needed a solution to keep over 100 condenser coils and 100 air intakes clean, to maintain optimal system efficiency. 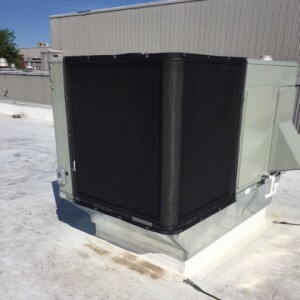 The facility planning manager found that solution in 2010 — with PreVent® filters, and continues to install PreVent on all the air intakes. 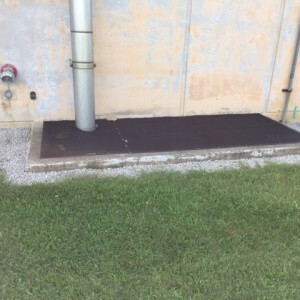 Filter Services of Elk Grove Village, Illinois, works with the facility’s planning manager to recommend and measure custom sized PreVent filters in a variety of shapes, sizes, framing and mount options. 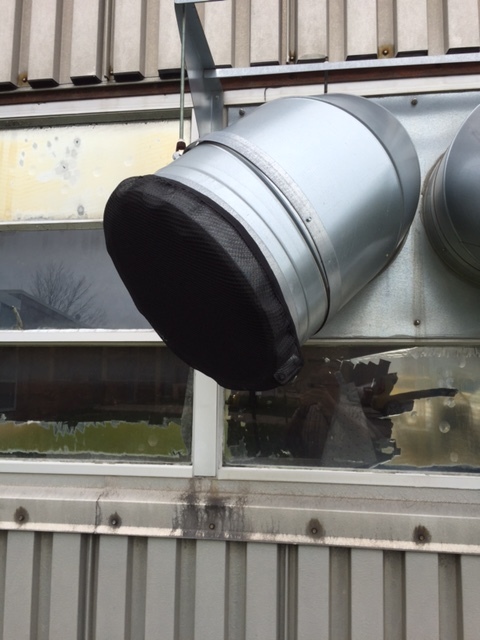 Seven years and counting, the PreVent system substantially reduces maintenance costs with air intakes screened. 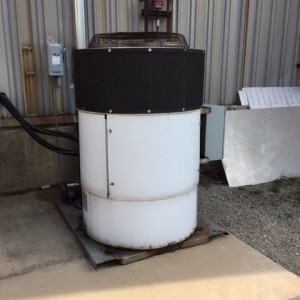 The facility saves manpower hours and downtime now that deep condenser coil cleanings have been minimized. 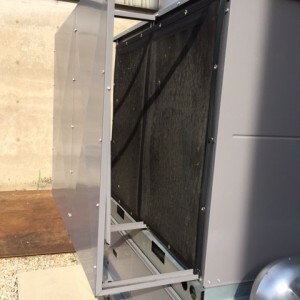 The filter’s woven electrostatic media effectively captures airborne debris before it can enter the system, and is quickly cleaned in place with a broom by maintenance staff. High efficiency interior 3M Filtrete air filters are able to work longer, reducing change outs. With the PreVent system in place, laboratories and HVAC equipment can operate at peak performance. Save time with MagnaMount® no-drill installation. PreVent system filters are now quickly installed by in-house maintenance mechanics using Permatron’s new MagnaMount earth magnets. Prior PreVent installations included labor time to drill and affix the mount clips using permanent screws. Once the magnetic mount clips are inserted into the filter’s grommets, it literally takes less than a minute to place the screening on equipment and adjust it.